Now, sport unique and exquisite eye makeup looks on different days of Navratri! Eyes are the first thing anyone notices about you. And eye makeup is actually magical. 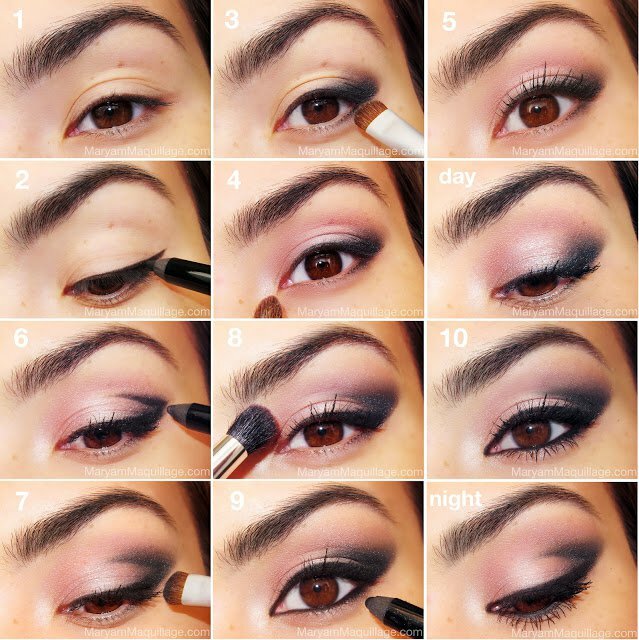 Even a little eye makeup can transform your makeup look in a big way, not to mention make you feel oh-so-beautiful. Being able to do awesome eye makeup is a truly trans-formative experience. And with the festive Navratri just round the corner, it is a great time to play up your eyes and you’ll ensure everyone else’s will be on you. After all, Navratri is the time to dress up in finery, dancing, celebrating – all the while looking gorgeous. Equip your makeup drawer with eye shadow, mascara, pencils, and more to give yourself dazzling makeup looks. There is so much that can be done with the eyes – and there is a type of makeup for those who love it, as well as those who are a tad wary of it. If going minimal, just a sweep of feminine pink shadow over the lids will give you fresh, healthy color. Give the look a little edge by lining the lashes with a dark pencil. Matte eye powder has a classic texture that works well on any skin type, so it’s especially good for beginners. When using only one eye shadow, layer it more heavily around the lash line, then softly blend it so that it fades naturally at the crease. Festive occasions are also great to play with color – a deeper palette will complement your pastel outfit perfectly. Mauve is the color of the season. 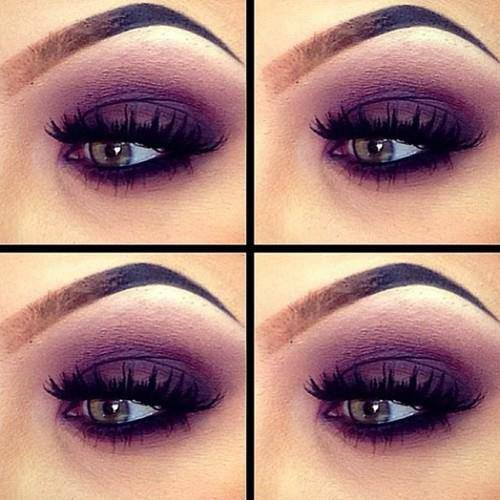 A striking lavender or deep purple shadow can really highlight the eyes. For liners, choose soft golds and pinks―that match well with purple. To instantly open up smaller or tired eyes, apply dark shadow to the creases and outer corners of the eyes to make them appear rounder and more open. Dot some shimmer eye shadow on the tear ducts for added effect. If you like using false eyelashes, it is always a better idea to go for individual falsies rather than a whole bunch – it looks more natural and gives the look of denser lashes. 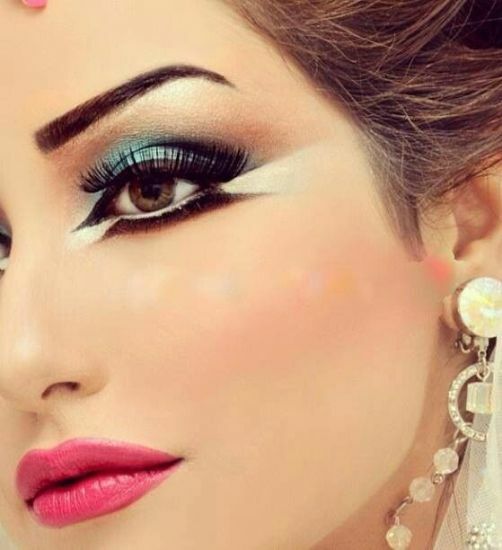 If you are confident enough, try graphic shapes or draw out patterns on your eyelids with colored liners or eye shadows. While you take care to pamper the peepers, do ensure they are framed well by the brows. Fill in sparse brows with a wax-based pencil that matches your brow hairs. Use short, light strokes. To keep makeup on longer, prep the lids with a concealer or primer before applying shadow. Cream eye shadows, rather than powder ones will not ditch you on sweaty dandiya nights. They not only stay longer but are highly pigmented as well. If you prefer powder eye shadows then apply them using a wet or damp eye shadow brush. Gel liners also stay put as you dance the nights away. No matter what your hair color, black mascara is flattering. It defines your eyes and makes you appear more wide awake. 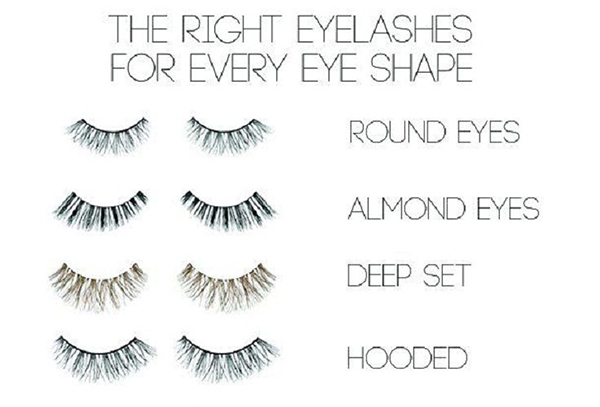 When applying mascara, wiggle the wand back and forth at the lash base. It’s the mascara near the roots―not the tips―that gives the illusion of length.